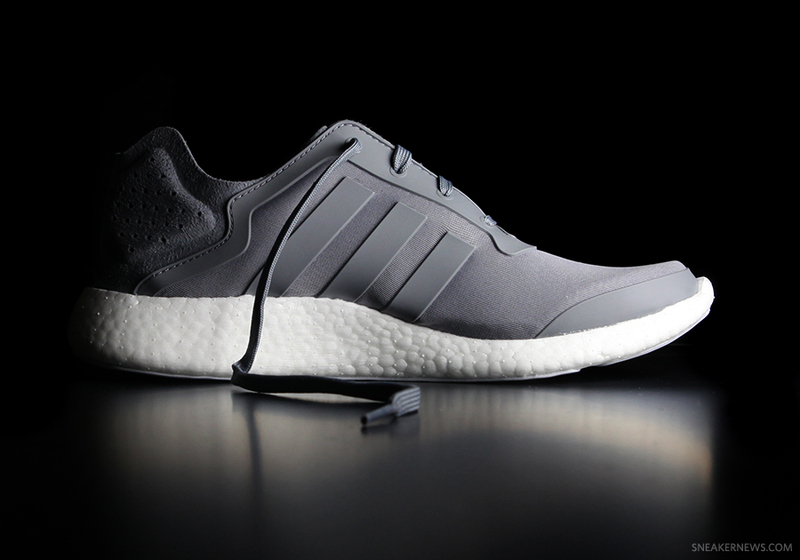 The adidas update their well-received Pure Boost silhouette with a handful of new colorways for the Spring/Summer 2014 season. The tech/quality ratio is is balanced as the shoe. A four-way stretch seamless upper and no sock liner. The TIRRENINA suede heel, a sustainable luxury fiber that is made without any solvents during the manufacturing process Look for the sneakers now at adidas and exclusively at Foot Locker Europe.